For every Richard Branson-like entrepreneurial success there are countless failed business ventures leaving a trail of financial and emotional ruin in their wake. Add an altruistic element to your business and the pressure to succeed is enhanced. So how do you ensure your business soars? We get the down-low from the people behind some of Australia's most recent startup successes. Who said it? 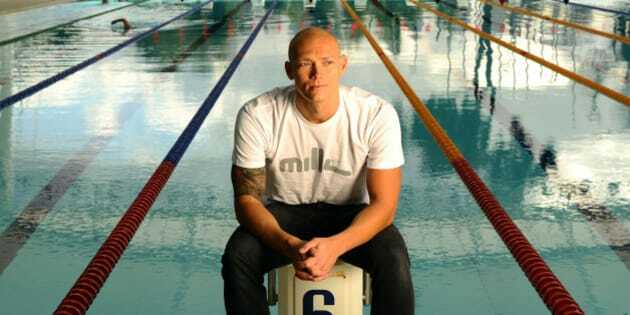 Michael Klim -- MILK & Co.
Olympic gold medallist Michael and his wife Lindy launched lifestyle range Milk and Co in 2008. Today the eco-friendly brand is stocked throughout Australia and internationally and contributes to the Brainwave charity. "When I swam, I knew not only what I was doing in every lap but also what my competitors would be doing too. I've implemented that into Milk and Co. From day one, I made sure we knew exactly who our competitors were, what they're doing in terms of advertising, new products and expansion. Knowledge is an hugely undervalued equity." Launched in 2014, Alison's start up is a social enterprise shopping portal where every gift purchased supports a good cause. "Ask yourself if there is a problem you are solving that someone will be willing to pay for. Get very clear on what this is, who your paying customers will be, and carefully assess if they'll pay enough to cover your costs." Launching in 2013, the success of Ryan's national health care consulting company has lead to him guest lecturing in universities on entrepreneurship. "Make it a priority to tap into social media. Also offer value information around your business, freebies or even edgy or slightly controversial marketing rather then just 'here is my product/service - buy it!'" This timepiece company launched in May and donates to Australia Zoo's Wildlife Warriors Tiger 511 programme. "I swear by a brilliant quote from JFK, "There are risks and costs to action. But they are far less than the long range risks of comfortable inaction". I recently giving up a high paying sales job to launch something I am truly passionate about - Wanderlust Watches – that also helps a cause I'm passionate about." Publishing company Smudge launched in 2009 and has produced 14 books that showcase Australia's wine, produce and culinary talents. "Create a business plan that includes a budget and a cash flow forecast. I can't stress how important this is. If you don't know how to do it, get your accountant or someone close to you to teach you how to do this. Refer to it weekly." This Australian-based online education provider launched in 2012. It facilitates leadership and education programmes throughout Africa. "The entrepreneurial journey is tough. It'll knock you around many times. Before you start make sure you're in it for the right reasons because if you're not, it's really not worth it. Hold onto your vision and don't let go." Health business consultant Joanna founded her virtual assistant service for the wellbeing community in 2013. "Organisation from the beginning is crucial. Without clear structure in your online and offline space you will become overwhelmed very quickly. Create systems and procedures for everything you do, and spreadsheet s to record everything from sales, profit, expenses, leads and billable hours. This creates data to analyse in future to see where you can improve." Entrepreneurs Lance and Ido penned Get Big Fast and Do More Good - Start Your Business, Make it Huge and Change The World in 2013. Their most recent venture together is Yoobi, a stationery brand where for every product sold, another is donated to a child or classroom in need. The company's charitable partner is the Smith Family. "In order to launch a socially aware business, your vision must be clear from day one. Yoobi's "One for You, One for Me" mission, which sets us apart in the school supply market, helps customers make a powerful connection between their purchase and the impact it's making. As we build the business, we highlight the importance of this mission so all partners, from suppliers to investors, understand how we can achieve this goal as a team. Consumers value brands that give back." Hero is a socially responsible condom company. For every Hero condom sold in Australia, the company donates one to a developing country to help fight the spread of HIV/Aids. The company launched in 2013. "Do ask for help. People and businesses can often be more willing to help than you first think. Do get it done. There is only so much planning you can do and not every obstacle can be anticipated. Do what you can at the time and strive for continuous improvement. Don't listen to no. If you believe in your idea and you have done the groundwork, don't let a 'NO' get in the way of making your dreams a reality."